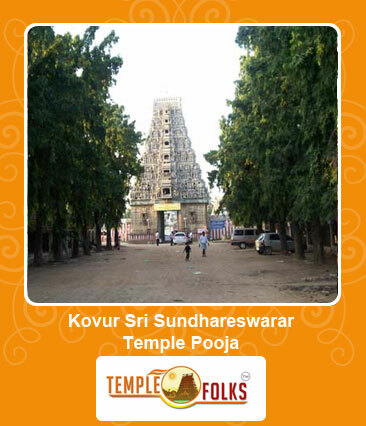 Kovur has a massive temple for Lord Shiva built by Kulothunga Chozha, dating back to 7th century. The main deity of this temple is Sri Sundhareswarar (also called Thirumaeneeswarar) and Goddess Sri Soundharaambigai (also called Thiruvudai Naayagi). Sri Sekkizhaar, who was born in the nearby place "Kunrathur", started writing "Periya Puranam" from this temple only.The Theertham of this temple is called Siva Gangai Theertham. This temple also has a beautiful chariot which requires renovation. The Worship benefits at this temple includes alleviation of the malefic effects of an unfavorably placed Budhan in ones horoscope. Childless are blessed with progeny, the hurdles in getting married are cleared, good agricultural yield and career growth. Budhan bestows wealth and wisdom on his devotees. Students who are weak in studies can pray here and reap the benefit. Businessman can pray here to improve their business.